The Internal Quality Assurance Cell is formulated on the basis of recommendation given by NAAC. H.H The Rajah’s College (Autonomous Accredited B+) is a Government Institution and is affiliated to Bharathidasan University, Tiruchirappalli. The College is catering to the needs of economically and socially weaker sections of the society, especially the first generation of learners of Pudukkottai District. 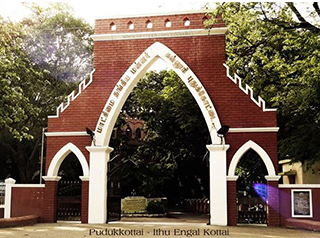 The College has based its motto on the Vedic dictum “Thamasoma Jyotirgmaya” (Irulil Irunthu Oliyai Nokki”) which means “From Darkness to Light” The goal reflects the objectives of higher education with emphasis on the regional demands. Date of Appointment in the Government Collegiate Service: 05.08.1982.